The astonishing growth of human population over the last 200 years has caused drastic and hopefully not irreversible damage to ecosystems worldwide. As we seek food, shelter, and natural resources, we damage the fragile balance of natural wildlife. If we continue at this pace, it is estimated 25% of the current species on Earth may become extinct in the near future. 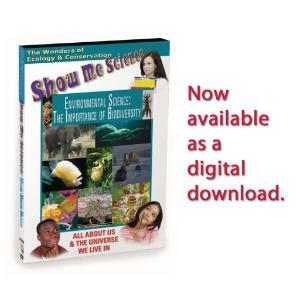 Biodiversity is crucial to sustaining life on Earth, and in this episode of Environment and Ecology, students learn about the efforts being made by scientists all over the world to maintain this vital biodiversity.